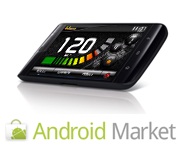 Wizzmo is a brand new Android based application for your car: it's a mix between a fancy GPS-based speedometer, a nice camera application and a context sensitive videoclip player. 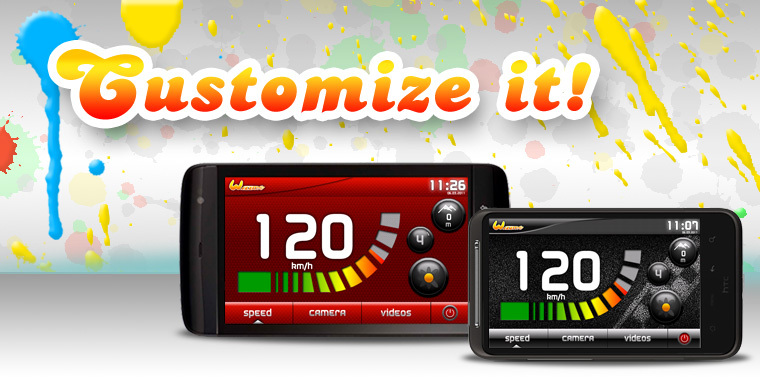 If you want to impress your friends while driving around with your car, Wizzmo is for you! With Wizzmo driving around won't be boring no more. With it's inbuilt "Cool" mode you will be able to impress the neighborhood with a customized honk sound and a special camera mode which lets you easily record your rides in the city and make some cool pictures while driving. Stuck in a traffic jam? Switch to the videoclip mode and watch your favorite FLV videos. 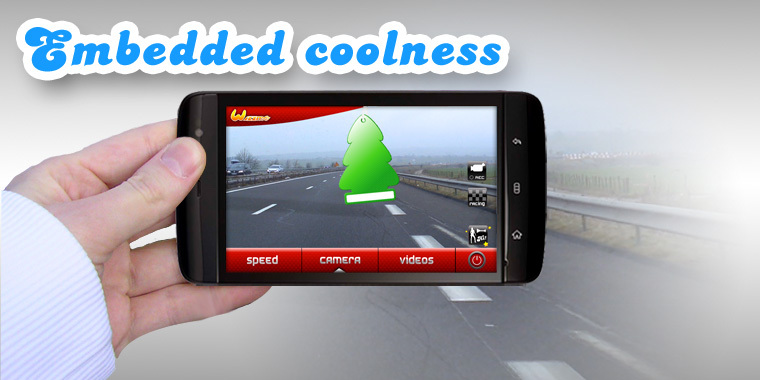 You can also change the background color and download cool themes to match your car's colors. 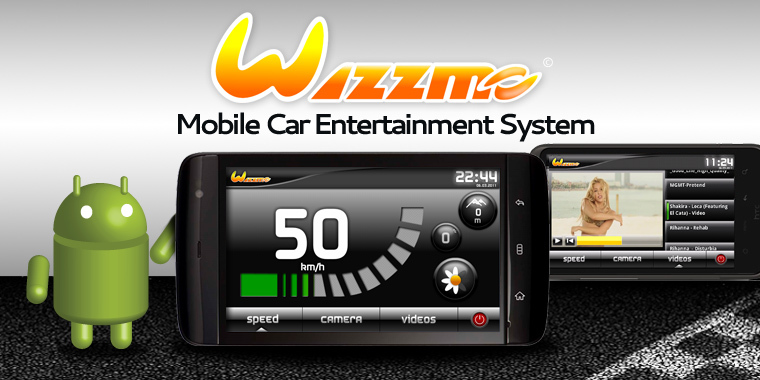 Exclusively built for Android, this mobile version of Wizzmo Car Entertainment System will fit in every car. 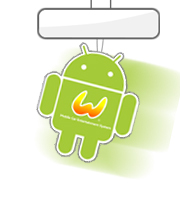 If you have absolutely no clue how to install your Android Phone in your car (some Wizzmo fans have even completely inbuilt their Android phone into their car's dashboard !) why not taking a look at some cool installation in the Garage?